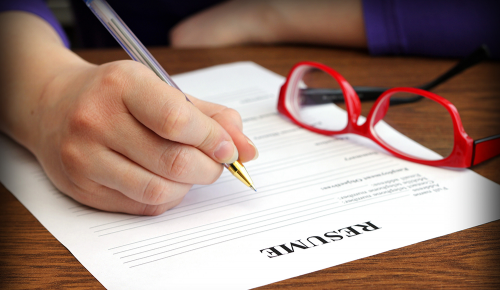 Are You Still Falling for These Resume Myths? No matter how much advice is published on the subject, many myths about the best way to write a resume still circulate freely. Fortunately, a lot has changed over the past few years in resume writing and job searching – and you can benefit from these new trends. For example, you might have been told in the past to keep your resume to a specified length or to exclude certain types of information. Nowadays, however, many of these so-called “rules” no longer apply. This legend never seems to die. Back when resumes were handled in hard-copy form, employers and recruiters admonished job seekers to keep their documents to a single page. Perhaps this made it easier to keep track of all those pieces of paper, or maybe it was easier for job seekers to avoid typos in a shorter document. No matter the reason for its existence, the one-page resume can officially retire now, particularly for those of us who have more than 15 years of experience. Most employers today are using applicant tracking systems (ATSs) to screen resumes, and these systems can process large amounts of data at once. Plus, organizations are accustomed to resumes that exceed one page, especially for executives. If you’ve ever read a job description, you know that “supports user communities and department stakeholders” is a dull and generic way to convey your duties. Unfortunately, too many job seekers – from entry- to executive-level candidates – rely on these canned descriptions to showcase the breadth of their work. It’s time to stop this practice in its tracks with a reminder that employers don’t hire your past job descriptions; they hire your capabilities, skills, and work style, hoping to find a candidate who will dive into new challenges and solve their business problems. As demonstrated in this example CEO resume, a list of core competencies (under the heading “Areas of Expertise”) can convey relevant skills, while the “Executive Performance Benchmarks” section highlights the attention-getting specifics of career achievements. Your achievements, competencies, and career wins need to take center stage on your resume. Don’t give the spotlight to stock phrases that could apply to anyone. Qualify your accomplishments with metrics that show just how much your work has impacted the bottom line, rescued a critical project, or saved costs at previous employers. Nothing is harder to skim in the digital age than a black-and-white, lackluster document that does little to distinguish one candidate from all the rest. Even worse, too many candidates use stock resume templates, making their resume formatting look like a last-minute decision. Your best bet is to take some time and care with the presentation of your resume, just as you would with any other high-profile business document. While a tremendous amount of color is not necessary, a touch of flair and emphasis on keywords (shown in these resume examples for a CFO and Program Manager) can help set off important data. If you want to push the envelope a bit further, consider giving your resume a powerful dose of graphics that showcase achievements. By honing in on the most valuable parts of your experience, your resume can direct employers to take note of these career wins. In years past, job seekers often left out the context of their achievements, fearing their resumes would be too long otherwise. Now, you’ll benefit more from explaining exactly how you motivated the sales team or negotiated a new vendor discount, since these examples will reinforce your personal brand message. To get in the right frame of mind for writing about your background, think in terms of the C-A-R (Challenge-Action-Result) format. By describing the situation you inherited (the challenge), the steps you took to improve or resolve a problem (your actions), and the outcome that benefited the company (the result), you’ll present a stronger picture of your leadership competency and agility. The bottom line: Rather than adhering to the old myths that hold you back, write your resume in a way that fits your unique situation.